Hello and welcome to the Serie A news and rumours of the day! Without further ado, let's take a look at the top stories of the day surrounding the Italian league. Barcelona have reportedly agreed with Juventus to send Samuel Umtiti to Turin. Matthijs De Ligt move to the Spanish outfit seems imminent and the Dutchman's arrival at the Camp Nou would serve as a major threat to Umtiti's future at the club. Juventus, however, could offer an escape route for the unfortunate Frenchman. 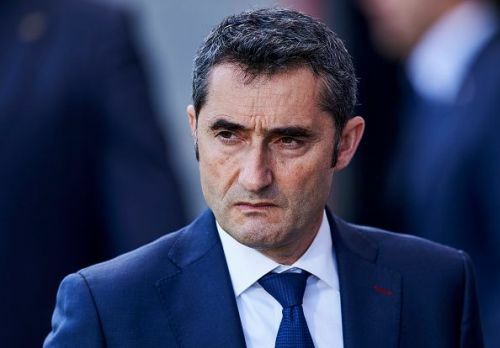 The World Cup winner has struggled to get back into Ernesto Valverde's plans after recovering from his lengthy injury. Juventus were initially also keen on De Ligt, but they might opt for Umtiti instead if the Ajax starlet joins Barcelona. Veteran Juventus defender Andrea Barzagli has announced that he will retire after this season. Hence, the Old Lady would sign Umtiti to replace the Italian. According to the report, Umtiti is currently valued at €70 million and has also attracted interest from both Manchester United and Arsenal. Manchester United are reportedly set to tempt Christian Eriksen with a £240,000-a-week wage packet. Eriksen currently only earns £80,000 per week at Tottenham Hotspur and has attracted interest from numerous clubs, including Juventus. The Old Lady are reportedly considering making a bid for the playmaker but Manchester United's package offer would be hard to resist for Eriksen. The Danish star has consistently been one of the best midfielders for the north London outfit. However, his contract talks have stalled recently which has put various European giants on alert. Marek Hamsik left Napoli to join Chinese Super League outfit Dalian Yifang in February after a lengthy spell at the Italian club. However, Hamsik's agent Martin Petras stated that Napoli let the star go too soon and believes the midfielder's transfer would harm the Serie A outfit. "The cycles begin and end, we hope that the other teams approach the quality of Juventus. Napoli lost a very important player, nobody would have expected so incisively. Everything was going too smoothly. I didn't say it when he left, they got rid of him quite easily, but the Napoli locker room has lost so much, even in terms of quality. It is no coincidence, sooner or later it had to happen. Now he has started a new path, you have to overcome this too. "Was it the right time for Hamsik to say goodbye to Naples? Opportunities are coming and Marek has considered the right opportunity. We are happy with the decision we made, on another day, an opportunity like this could have not happened. Napoli have let him go quickly. "I expected more problems on their part because in the crucial phase of the season they could have faced some more issues, especially the club. Ancelotti is human, he understood the situation and he understood that it was time to change. I was expecting a little more hardness, but there is great respect for Naples on my part and on Hamsik's part. He always follows the Serie A and Napoli, he always feels with his former comrades. He is now a fan of Napoli. "In the summer there was no occasion that occurred in January. Also because the real market in China is in January. Marek will return to Naples to greet the San Paolo fans. There is still no date, around August-September there will be a real greeting. There are no details yet. He probably won't come to play, but he'll be there just to say goodbye." Hamsik joined Napoli from Brescia in the summer of 2007 and amassed over 500 appearances for the club, scoring 121 goals and setting up 111 more. He helped Napoli to win two Coppa Italia and a Supercoppa Italiana.